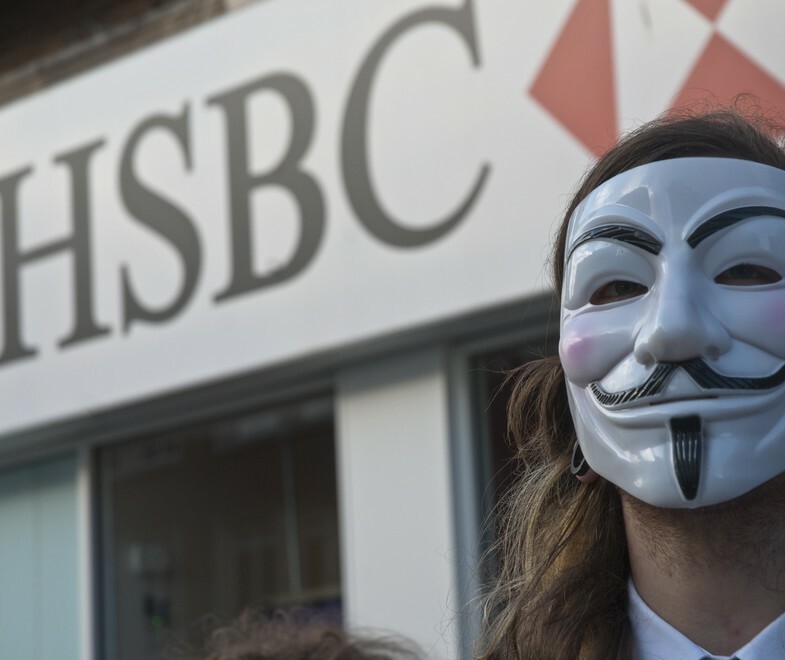 Anonymous took down HSBC "HSBC HACKED"
Reason of Attack:"Banks are the sole cause of our current worldwide economic problems. They deserve to get hit. RBS, Lloyds TSB and Barclays are next,"
HSBC said "We are taking appropriate action, working hard to restore service. We are pleased to say that some sites are now back up and running,". "We are cooperating with the relevant authorities and will cooperate with other organisations that have been similarly affected by such criminal acts." HSBC did not confirm any information about who might be responsible for this attack but a hackers Group "Anonymous" took credit for the attack on Pastebin and Twitter. On TWITTER the @FawkesSecurity announced it took down hsbc.co.uk and tweeting the bank: "We just brought down your site." after that group attacked hsbc.fr and hsbc.ca. @FawkesSecurity even said that "they were using a botnet to take down the bank's websites" . The group also suggested that other banks, like Barclays, might be next on the attack list.